If you’ve ever watched a tightrope walker on a highwire, you’ve probably experienced simultaneous feelings of anxiety and hope. Although you know practice and repetition will probably ensure safe passage to the little platform on the opposite end of the rope, there is still concern that all may not go as planned. Many tightrope walkers use a pole to help them balance as they traverse the narrow cable. 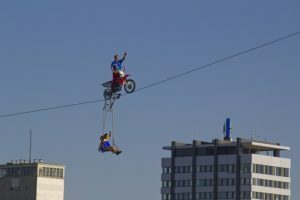 Sometimes they add juggling or gymnastics or bicycle riding to the act and the adjective “death-defying” is used to advertise the show, add tension, and draw in the crowds. Resist adding another ball to the juggling act – Some people are better than others at saying no. It’s tempting to add another activity or commitment to your schedule when all is going smoothly, but step back a moment and think what happens to your stress level when that extra ball is added to your juggling act. Decide what your true motivation is for adding something else. With some reflection, you may realize that while an additional commitment feeds your ego or makes you look good, what the addition really does is throw you off balance and sidetrack you. Utilize a safety net – Sometimes tightrope walkers get caught up in thrill of attempting increasingly risky tricks, and in a burst of over-confidence, remove the safety net that stands between the tightrope and serious injury or death. While courage is to be applauded, over-confidence and risk-taking behaviors remove the safety net of wisdom. Make sure your forward motion on the highwire includes a safety net. Don’t look down – At times, life hands you challenges that seem insurmountable. Perhaps the hurdle is a job loss, an unexpected diagnosis, the death of a loved one, or an on-going difficulty that keeps cropping up and never seems to change. You look at the platform on the other side of the challenge and make the determination that there is no way you’ll make it to the other side without a misstep that causes you to fall off. The secret is to keep looking ahead. Looking down changes your perspective, accelerates fears, and makes the destination seem farther away. Despite the temptation to look down, keep your eyes forward. Choose the Right Balance Pole – Our world is probably not any more crazy or dangerous now than it’s ever been, yet social media and never-ending news reports make it feel that way. 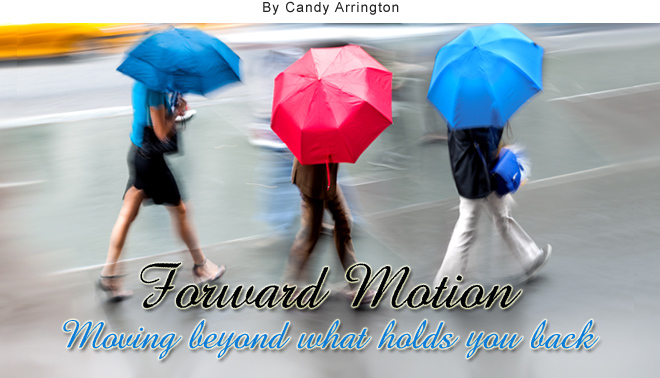 Various viewpoints, causes, and philosophies vie for your attention. You’re bombarded with shifting morals and ethics that challenge truth. That’s why it’s important to choose a balance pole that helps you navigate the narrow way. Faith is the balance pole that provides wisdom, courage, and stability for life on the highwire. Don’t attempt your tightrope walk without the balance pole of faith. Faith is the balance pole that provides wisdom, courage, and stability. Life is a lot like a walk on the highwire.